Give your gray matter the workout that it needs to stay sharp, focused and young. Dr. Kawashima's Brain Training: How Old Is Your Brain? 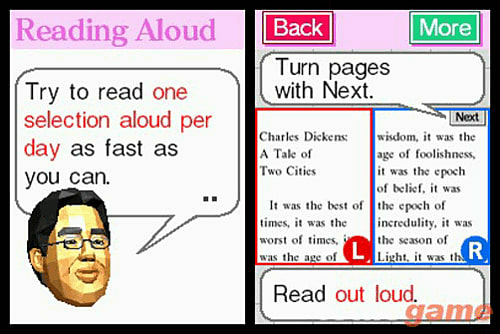 is inspired by a book that was written by Professor Ryuta Kawashima, a prominent Japanese neurologist. Give your gray matter the workout that it needs to stay sharp, focused and young. Dr. Kawashima's Brain Training: How Old Is Your Brain? 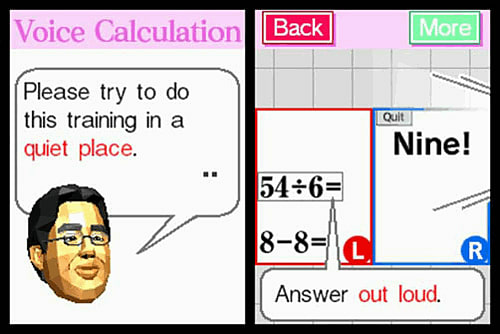 is inspired by a book that was written by Professor Ryuta Kawashima, a prominent Japanese neurologist. His theories revolve around keeping brains young by performing mental activities quickly. When users first start a new game of Dr. Kawashima's Brain Training: How Old Is Your Brain?, they will be given a Brain Age Check that determines the age of their brains. 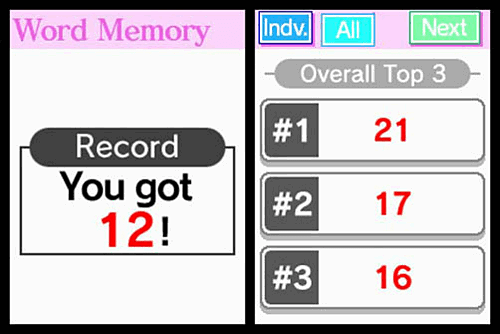 Each day, Brain Training users can compete for the high score in any activities that they have unlocked. They also can check the age of their brains once per day. The more they play Dr. Kawashima's Brain Training: How Old Is Your Brain?, the more activities they will unlock. 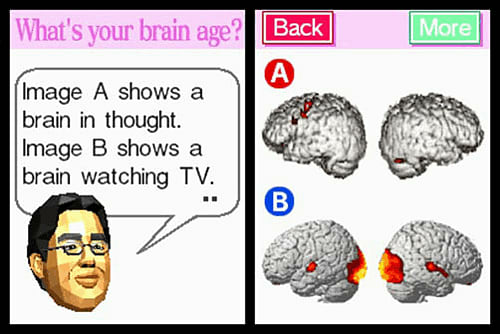 Dr. Kawashima's Brain Training: How Old Is Your Brain? 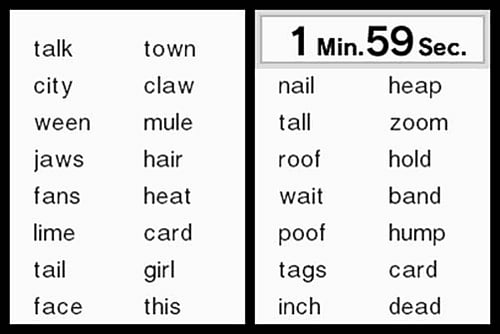 is designed to be played in small chunks over a long period of time and can hold data from a year of activity. 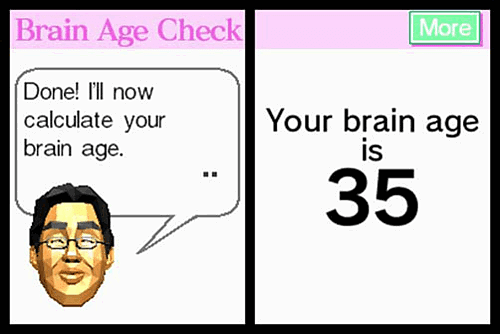 Brain Age: Dr. Kawashima's Brain Training: How Old Is Your Brain? 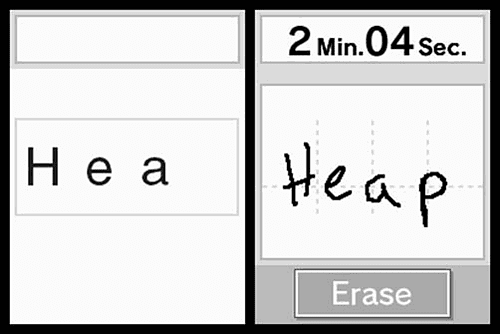 offers a series of mini-games designed to give brains a workout. 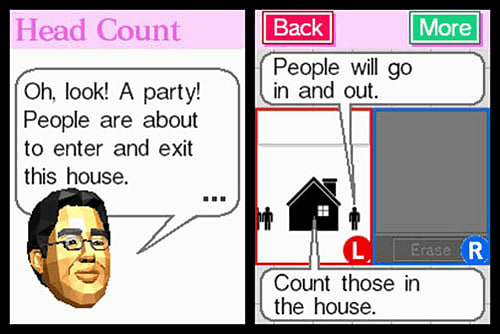 Activities include performing simple math problems, counting people going in and out of a house, drawing pictures on the touch screen and reading classic literature out loud. Improve your brain: Dr. Kawashima's Brain Training: How Old Is Your Brain? lets players take a series of tests and get a score that shows how old their brains are. This number is called the Brain Age. 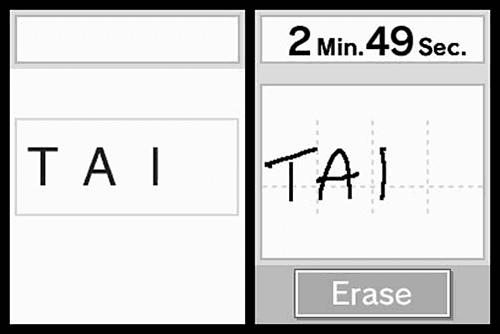 As they use the software over a series weeks and months, their mental acuity will improve and the Brain Age will drop, indicating a younger, healthier brain. Progress is charted in graph form. 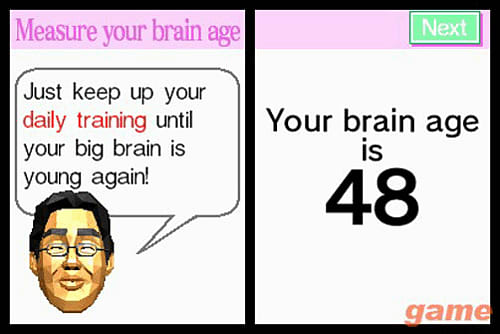 Play and Share: Users of Dr. Kawashima's Brain Training: How Old Is Your Brain? can keep up to four save files on one game card. 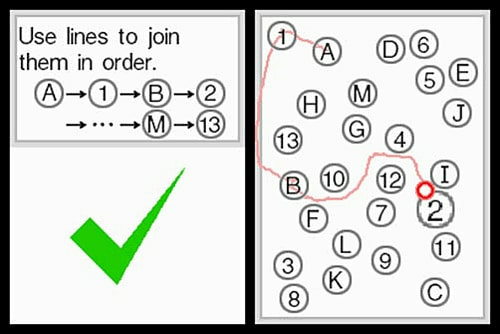 Sharing a game allows them to compare their results with those of family and friends. 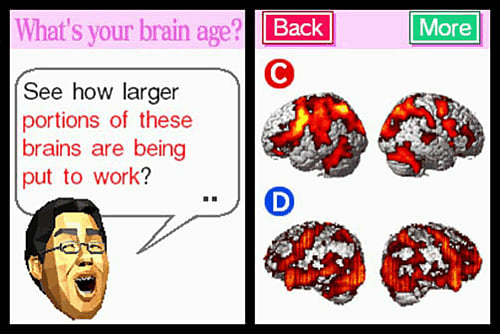 Users also can send a demo version of Dr. Kawashima's Brain Training: How Old Is Your Brain? to friends or compete with up to 16 players in a battle to see who can solve math problems the fastest.